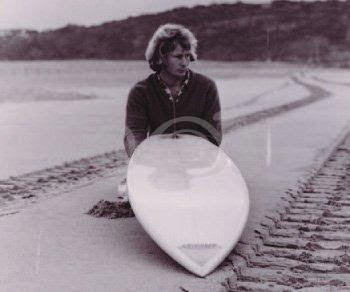 : Board Collector: Simon Anderson - forever the innovator. Simon conciders himself a cutting edge shaper and dislikes being only associated with the development of the thruster. Proof of his endless pursuit of innovation in surfboard design is this 6'0" late 70's hollow plastic, blow moulded, single fin whose shape is based on Simon's well proven rounded pin tail designs. Today Simon's passion is for the quad. 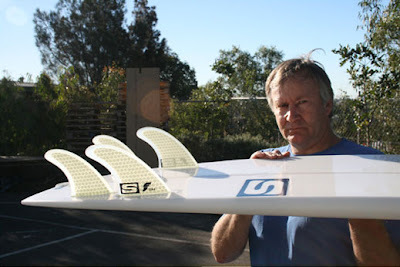 A recent Tracks magazine board test issue rated Simon's new design as the best new board out there.